The Citi® Diamond Preferred® Card is a straightforward credit card with no annual fee and an industry-leading 0% introductory purchase and balance transfer APR promotion. Although it doesn’t offer a sign-up bonus, cash rewards program, or very low APR once the introductory period ends, Citi Diamond Preferred is one of the best options out there for new cardholders who wish to transfer existing high-interest balances from other cards or make large upfront purchases which they can pay off over time without racking up excessive interest charges. Plus, Diamond Preferred has some cardholder-friendly perks and personalized touches that aren’t available on other no-frills cards. Citi Diamond Preferred is comparable to a number of other no-annual-fee cards with long introductory purchase and balance transfer promotions, including U.S. Bank Visa Platinum, Citi Simplicity, BankAmericard Credit Card, and Chase Slate. 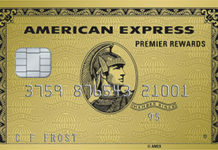 It’s also comparable to entry-level, no-annual-fee cash back rewards cards with long intro APR periods, such as Discover it and Discover it Chrome, Capital One Quicksilver Cash Rewards Credit Card, Blue Cash Everyday Credit Card from American Express, BankAmericard Cash Rewards Credit Card, and Chase Freedom. There is no sign-up bonus for this card. This card has a 21-month 0% APR promotion for purchases and balance transfers. Qualifying balance transfers must be made within 4 months of your account opening date. There is no annual fee. The foreign transaction fee is 3% of the transaction amount. Balance transfers cost the greater of $5 or 3% of the transferred amount, while cash advances cost the greater of $10 or 5%. Late and returned payments both cost $35. Citi Diamond Preferred has a special level of concierge service that’s available only to Diamond Preferred cardholders. Basically, this is a personalized portal with shorter lines (and more knowledgeable, less overworked personnel) than Citi’s regular service department. There’s a dedicated 800 number and website. In addition to personalized concierge service, Diamond Preferred comes with a nice lineup of benefits. The most noteworthy is Citi Private Pass, a Citi-exclusive program that entitles participants to pre-sales, VIP packages, and occasional exclusive access to special events such as concerts, sporting contests, and celebrity-headlined events. This card requires excellent credit. Even minor credit blemishes can adversely affect your application. Industry-Leading Intro APR Promotion. Citi Diamond Preferred’s introductory purchase and balance transfer promotion is among the longest in the business. Only Citi Simplicity can equal its 21-month span – other competitors, including Chase Slate (15 months) and BankAmericard Credit Card (18 months) fall short. And no other card combines such a long introductory APR with such generous cardholder perks. No Annual Fee. Citi Diamond Preferred doesn’t have an annual fee. That’s great news for budget-conscious cardholders who want to take advantage of the introductory APR promotions and don’t want to cut into the savings they produce. Personalized Concierge Service. This card comes with a dedicated concierge portal that’s available only to Diamond Preferred cardholders. That’s a rare benefit for no-annual-fee cards – you typically have to shell out annual fees approaching $100 (and sometimes much higher) to get high-touch, personalized service of this nature. Low Balance Transfer Fee. Citi Diamond Preferred has a fairly low balance transfer fee: the greater of $5 or 3% of the transferred amount. That’s low relative to some competitors, which can charge up to 5% of the transferred amount. For new cardholders transferring thousands of dollars in existing debt to this card, that difference can really add up – and it further reinforces this card’s attractiveness as a balance transfer vehicle. Excellent Benefits Package. Citi Diamond Preferred’s fringe benefits are among the best of any no-annual-fee credit card. For cardholders who enjoy sports and entertainment, Citi Private Pass is a particularly attractive proposition. By contrast, BankAmericard is basically a straight-shooting balance transfer card – if you like value-added perks, there’s not much there for you. Requires Excellent Credit. Citi Diamond Preferred demands excellent credit. If you’re applying for this card because you’ve racked up high-interest balances on a current credit card account, this card may be out of reach for you. By contrast, BankAmericard merely demands good credit – a few dings probably won’t disqualify your application. No Rewards. Citi Diamond Preferred doesn’t offer cash back or travel rewards. For applicants seeking a top-notch 0% introductory APR promotion, this is unlikely to be a major hurdle. However, applicants who value rewards and great interest rates in equal measure are likely to think twice before applying for this card. For these folks, American Express Blue Cash Everyday or Chase Freedom are probably better fits. No Sign-up Bonus. Citi Diamond Preferred lacks a sign-up bonus. That’s a big downside relative to competing cards with solid intro APR promotions, such as Barclaycard CashForward™ World Mastercard® (note: this offer is no longer available) and Chase Freedom (15-month 0% APR and $150 sign-up bonus). Has a Foreign Transaction Fee. Citi Diamond Preferred’s 3% foreign transaction fee is a big downside for foreign travelers, particularly those who leave the United States frequently. If this is a big issue for you, consider competitors such as Capital One Quicksilver and Discover it. Has a Penalty APR. This card charges penalty interest on past-due balances. This is a drawback for cardholders who occasionally miss payments – particularly in light of the fact that Simplicity, its Citi stablemate, doesn’t charge penalty interest. For a no-annual-fee card, the Citi® Diamond Preferred® Card is pretty exclusive. Unlike some competing cards, it holds applicants to high credit standards. There’s a method to Citi’s madness though. This is one of the few no-annual-fee cards with on-demand concierge service – a huge benefit when you need immediate help. And that’s not even the best thing about Citi Diamond Preferred. This card’s 21-month 0% APR purchase and balance transfer promotion is among the best in the business. If you want awesome service and the ability to finance big purchase or transfer high-interest balances without breaking the bank, you’d be hard-pressed to do better. The Citi® Diamond Preferred® Card is an excellent option if you need to finance large purchases or transfer high-interest balances from existing cards during the first few months of card ownership – that is, as long as you can pay down your purchases or transfers before the 21-month intro APR period expires. This is also a great option for cardholders who appreciate luxury perks and value-added benefits, but don’t want to pay an annual fee for the privilege. However, Diamond Preferred is not a good option for people who have less than excellent credit, nor those who appreciate cash back or travel rewards. This card’s amazing 0% APR purchase and balance transfer promotion, super-personalized concierge service, additional benefits, low balance transfer fee, and lack of an annual fee are all great. Its restrictive credit requirements, foreign transaction fee, penalty APR, and lack of a sign-up bonus or rewards count against it. Overall, it is an excellent card for financing large purchases, transferring high-interest balances, and getting great service.